If you like to cook and prepare food, and if you’re looking to make a little extra money, then starting a food-based business might be the right path for you. 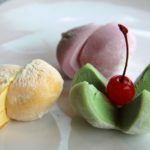 But if you don’t yet know which food-related business is the right one for you to consider pursuing, you’ve come to the right place. This is perhaps the quickest and easiest way to make money from making food. All you would do is write posts about and take photos of the recipes that you create. Simple, right? You would earn money primarily through the ad revenue and through any affiliate links that you set up. Guest post on other blogs, research popular SEO keywords, and build a durable social media presence and you can really drive traffic to your site to increase revenue. As an alternative or addition to your blog, you can also start your own YouTube channel where you can demonstrate yourself making your various recipes. As with blogging, you can also make money through ad revenue with YouTube. 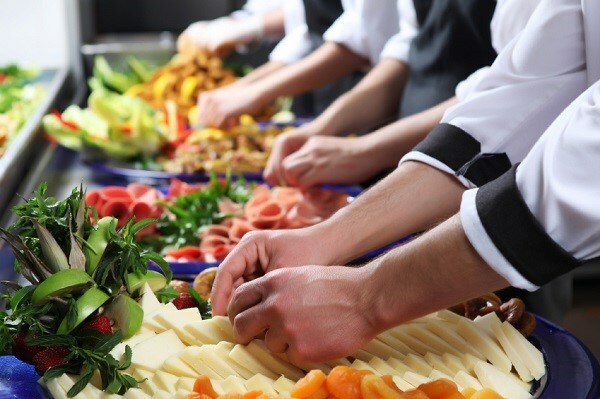 If you’re someone who likes to prepare food for large events, then catering can be a business opportunity for you to consider. Take note that catering is almost certainly not something you could do on the side in addition to a full-time job because of the scale of the task, and you would also likely need to hire an extra hand or two. Your catering business would stand a greater chance of success if you focus on a specific niche of food. If you have an app as well, you can make it even more convenient for customers to order from you. Donuts, muffins, cookies, cakes, cupcakes, biscuits, you name it. People love baked items and you would almost certainly find a customer base in your local area. Take note that starting a bakery doesn’t mean that you would have to rent an entire building. Many professional bakers run a home-based bakery and are quite successful at it. So long as you can bake quality products, people will be willing to buy from you. Another way to sell your baked goods would be on consignment at a local bakery or café shop. The bakery or café would earn a percentage of your profits, but it would be one way to expand your business. Do you have good skills in the kitchen and a passion for teaching? If so, you could consider a business as a cooking instructor. As with catering, focusing on a specific niche would be a wise idea to grow your business more effectively. For instance, you can focus on baking, grilling, or on vegan-specific food items. While there are many more food-related businesses out there that you could consider, these ones are the ones that stand the greatest chance of being successful.